A new safe home for animals has opened in Angleton, Texas, a city southwest of Houston. 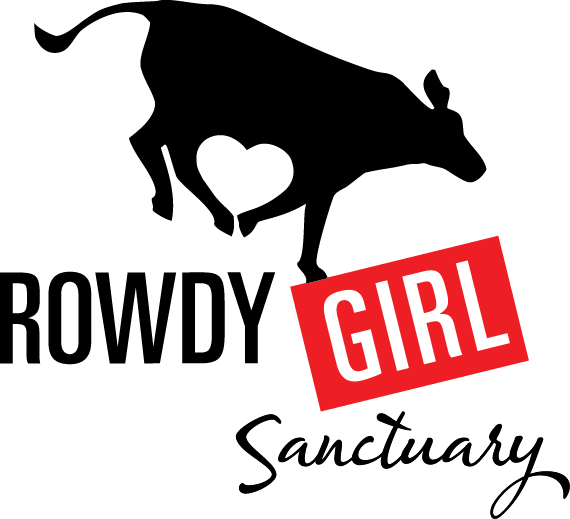 Rowdy Girl Sanctuary is a former cattle ranch turned thriving, vegan farm and animal sanctuary. Currently, 30 cows, 6 chickens, 4 horses and 1 pig named Herman the Miracle Pig call this amazing farm home. Thanks to founder Renee King-Sonnen’s unwavering compassion and determination, along with the support of her husband Tommy, these animals will be able to live out their lives free from harm. Being a city girl, Renee had never stepped foot onto a ranch until she met Tommy Sonnen, a fourth generation cattle rancher. 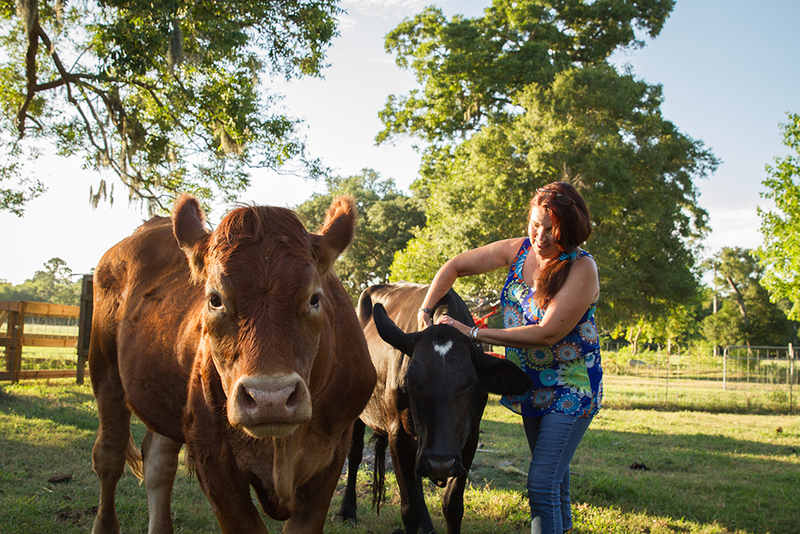 After she married Tommy, Renee found herself living on a 96 acre ranch with over 30 cows. 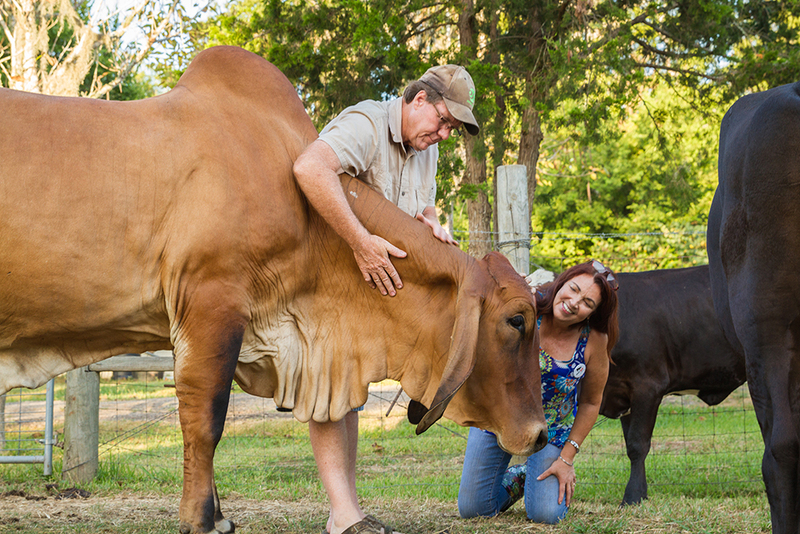 As a way to acclimate her to life on the farm, he convinced Renee she needed her own cow in order to be a rancher. So she purchased an orphaned calf to raise. The first time Renee saw the rambunctious, scrawny black calf she immediately named her Rowdy Girl. Renee bottle fed Rowdy Girl twice a day for months and they bonded immediately. Neither of their lives would ever be the same. However, having Rowdy Girl did not prepare her for the calves to be taken to slaughter. A red trailer would be positioned in the middle of the pasture, with sweet grain set in place to lure the young calves inside. Once the trailer was full the metal door would be shut, locking them in, then hauling them down the road. The mother cows would chase the red trailer, crying out for their young while the calves tried to escape. Renee cried for days alongside the mothers who would literally weep and moan until they had lost their voices. For the first time Renee was seeing the animals as living beings, realizing that, “living here and being with them is what converted my dissonance to resonance.” The images of the red trailer haunted Renee. She knew the cows’ faces, the look of joy in their eyes, the special relationships the calves had with their mothers and had just watched those bonds be shattered. The mother cows would chase the red trailer, crying out for their young while the calves tried to escape. Renee cried for days alongside the mothers who would literally weep and moan until they had lost their voices. For the first time Renee was seeing the animals as living beings. It took five and half years for Renee to take a stand against the red trailer pulling away with another group of calves. Renee was faced with a flood of emotions, loving her husband, ethically opposing the slaughter of the cows, ideas of what the ranch could actually be. 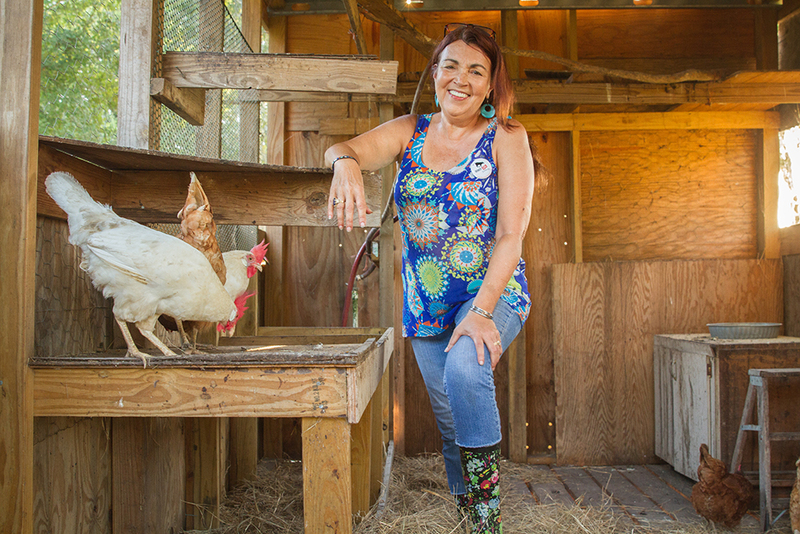 She didn’t have resources to turn to in Texas, so she began blogging on Facebook, creating the VEGAN Journal of a Ranchers Wife. 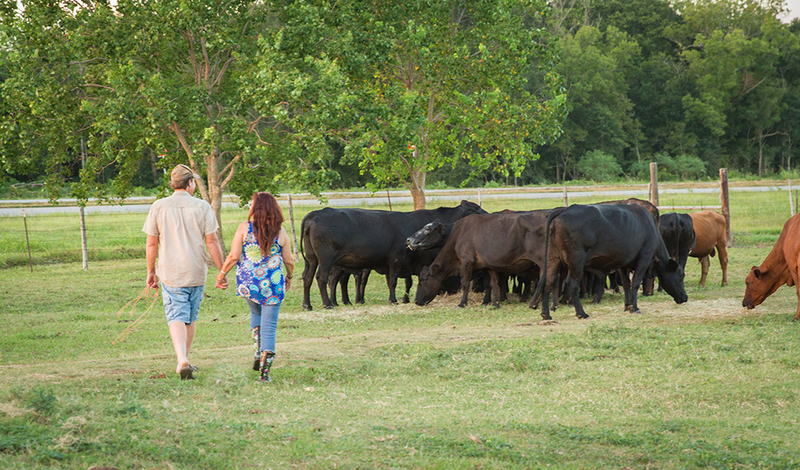 After what Renee describes as a ten month stand off, nearing the edge of their second divorce, she approached her husband and offered to buy the cows from him. It was a long shot because if Tommy sold the cows outright he could have gotten $50,000-$60,000 for the herd. Instead, he surprised Renee. He agreed that if she could figure out a way to buy them, he would sell the cattle to her for $30,000. Renee gained support from her growing Facebook followers, the online vegan community and information about the power of crowdfunding from Kip Anderson, co-creator of Cowspiracy. 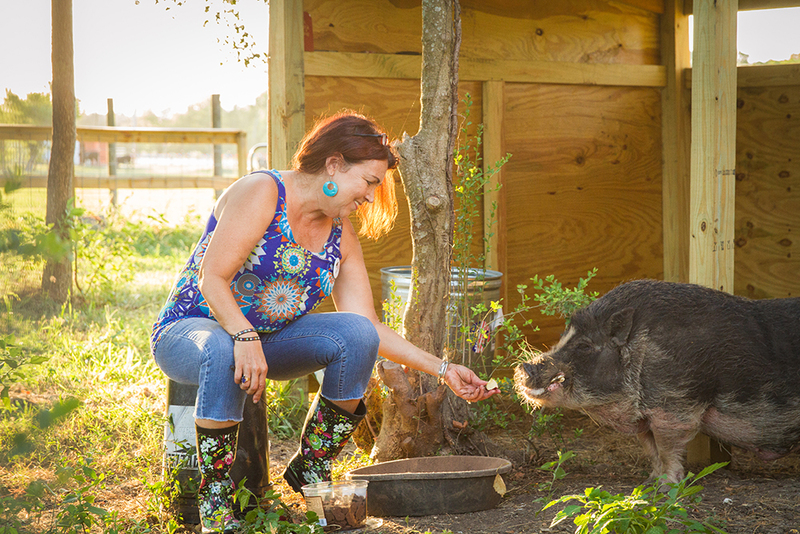 The idea of Rowdy Girl Sanctuary was born and for Renee there was no looking back. And now Tommy has become a vegan himself! She didn’t have resources to turn to in Texas, so she began blogging on Facebook, creating the VEGAN Journal of a Ranchers Wife. The sanctuary is supporting itself with a variety of fundraisers that educate the community about veganism and help people learn how to befriend farm animals. The next year is looking promising for RGS as they are close to opening their hoop houses to sell veganic produce, herbs and lettuce. They are also planning the second annual Vegan Awareness Festival & Fundraiser for May of 2016, a Fall Festival and Halloween Hayride followed by a Thanksgiving Vegan Feast.